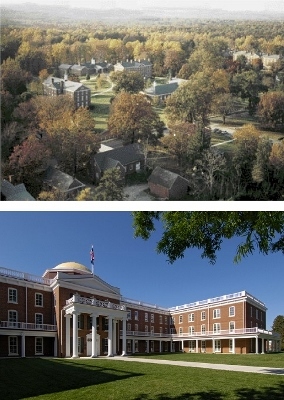 The Fall 2013 Meeting of the MD-DC-VA section of the MAA was held on November 1-2, 2013 at Hampden-Sydney College and Longwood University. Adrian Rice from Randolph-Macon College and Amy Shell-Gellasch from Montgomery College and the Smithsonian National Museum of American History ran the Friday afternoon workshop, A Beginner's Guide to Teaching a History of Math Course. The Banquet Address, The Mathematics, Magic, and Mystery of Martin Gardner, was given by Colm Mulcahy of Spelman College. 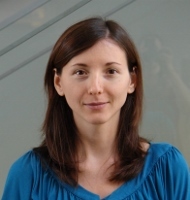 The Saturday morning address, Snowflakes, balloons, and the cardiovascular system , was given by Lorena Bociu of North Carolina State University, and the Saturday Afternoon Address, Commutativity and Collinearity: A Fundamental Connection Between Pappus and Diophantus was given by Adrian Rice. Abstract: This workshop offers a beginner’s guide to teaching an undergraduate history of mathematics course. In particular, we will discuss and offer suggestions on pitching the course to the right audience, historical and mathematical content, assignments and activities, modes of assessment, and resources to use. This workshop is designed to be of interest, not only to those who have never taught a history of mathematics course before, but also to anyone who is looking for more information on teaching such a course. Our hope is for you to leave with ideas and inspiration to embark on an exciting intellectual adventure with your students. 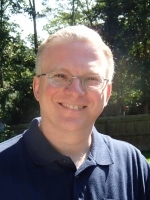 Adrian Rice is Professor of Mathematics at Randolph-Macon College in Ashland, Virginia. He received a B.S. in mathematics from University College London in 1992 and a Ph.D. in the history of mathematics from Middlesex University in 1997 for a dissertation on Augustus De Morgan. His research focuses on 19th- and early 20th-century mathematics, on which he has published many research papers, articles and books. He is a three-time winner of MAA. writing awards (2007, 2010, 2013) and was this year’s recipient of the John M. Smith Award for Distinguished College or University Teaching. In his spare time, he enjoys reading, travel, and spending time with his wife and young son. Amy Shell-Gellasch teaches at Montgomery College in Rockville, MD. She received her Doctor of Arts in Mathematics with a specialty in the History of Mathematics from the University of Illinois at Chicago in 2000. During graduate school Amy attended the NSF funded Institute for the History of Mathematics in Washington DC for two summers. She co-founded the History of Mathematics SIGMAA in 2001 and has been an officer of that organization since the time. In 2003 she started the HOM SIGMAA Student Paper Contest. She has edited three volumes on the history of mathematics and its uses in teaching in the MAA Notes Series and her thesis on mathematician Mina Rees was published by Docent Press in 2012. She has organized over 30 sessions on the history of mathematics and its uses in teaching, including a mini-course and three short courses, the third of which will take place at the Joint Meetings in Baltimore this winter. She has taught the history of mathematics on several occasions and finds it one of the most rewarding and engaging courses she has taught. Abstract: Martin Gardner (1914–2010), Prince of Recreational Mathematics, died at the end of an astonishing publishing career spanning 80 years. His "Mathematical Games" column in Scientific American ran from the 1950s to the 1980s, and introduced thousands of budding mathematicians to elegant problems and magical items which still inspire "Aha!" moments today. Every October worldwide there are Celebration of Mind events inspired by his writings. As we approach his centennial, we'll survey some of what "the best friend mathematics ever had" achieved and the legacy he leaves behind. Twitter users may enjoy following @WWMGT (What Would Martin Gardner Tweet). Biographical Sketch: Colm Mulcahy is a professor of mathematics at Spelman College, in Atlanta, where he has taught since 1988. 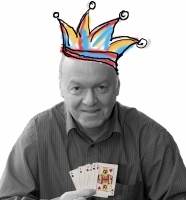 Over the last decade, he has been at the forefront of publishing new mathemagical principles and effects for cards, particularly in his long-running bi-monthly Card Colm for the MAA. He also blogs at the Aperiodical and the Huffington Post, and tweets at @WWMGT. Dr. Mulcahy received the MAA's Allendoerfer Award for excellence in expository writing, for an article on wavelets. His interests are broad, ranging from algebra and number theory to geometry. He earned a B.Sc. and M.Sc. in mathematical science from University College Dublin in his native Ireland, and a PhD from Cornell University for research in the algebraic theory of quadratic forms. Abstract: Snowflakes are beautiful, balloons are fun, and the cardiovascular system is, well, complex. Even though they seem unrelated at first glance, they are all examples of "free boundary problems (FBPs)", which deal with solving partial differential equations (PDEs) in a domain, a part of whose boundary is not known in advance. FBPs represent a very active research area right now, due to their numerous applications in science and technology. In this talk, we will start with two classical examples of FBPs (the obstacle problem and the Stefan problem), and move on to some more recent problems, like the arterial blood flow. Biographical Sketch: Lorena Bociu received her Ph.D. from the University of Virginia in 2008, and subsequently held postdoctoral positions at University of Nebraska-Lincoln and the Centre National de la Recherche Scientifique (CNRS) – Institut Non Linéaire de Nice (INLN), in Sophia Antipolis, France as a NSF International Research Fellow. Lorena's research interests lie in Nonlinear Partial Differential Equations (PDEs), one of the key areas of interaction between mathematics and other sciences. Her work is focused on analysis and control of nonlinear PDEs, like nonlinear wave equations and free boundary fluid-elasticity interactions. In addition to her research, Lorena also enjoys teaching very much. She promotes "active learning" in Mathematics and truly believes in the importance of the teacher and their influence over a student's desire to learn and achieve their goals. 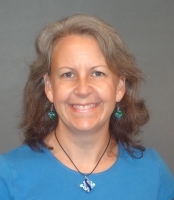 She has been involved in several programs meant to advocate women's pursuit of mathematics and mathematical careers, and is an active member of AWM (Association of Women in Mathematics), and NCSU-WISE (Women in Science and Engineering). Abstract: This talk investigates the discovery of an intriguing and fundamental connection between the famous but apparently unrelated work of two mathematicians of late antiquity, Pappus and Diophantus. This link went unnoticed for well over 1500 years until the publication of two groundbreaking but again ostensibly unrelated works by two German mathematicians at the close of the nineteenth century. In the interim, mathematics changed out of all recognition, with the creation of numerous new mathematical subjects and disciplines, without which the connection might never have been noticed in the first place. This talk examines the chain of mathematical events that led to the discovery of this remarkable link between two seemingly distinct areas of mathematics, encompassing number theory, finite-dimensional real normed algebras, combinatorial design theory, and projective geometry, and including contributions from mathematicians of all kinds, from the most distinguished to the relatively unknown.